But the fight is long from over. A federal judge in San Francisco has blocked the Trump administration's efforts to shut down the Deferred Action for Childhood Arrivals program, widely known as DACA, which provides work permits and protection from deportation to those people who entered the country without proper documentation as children, calling the administration's decision to kill it "improper." According to Politico, U.S. District Court judge William Alsup ruled that Attorney General Jeff Sessions's "conclusion that the program was illegal appeared to be 'based on a flawed legal premise.'" The new decision can reportedly still be halted by a higher court, but as of Alsup's Tuesday night ruling, DACA recipients who missed the previous October 5 deadline to renew will now have a chance to submit renewal applications, providing relief to those who might have had their status stripped away. The decision will not permit new DACA applications to be submitted. 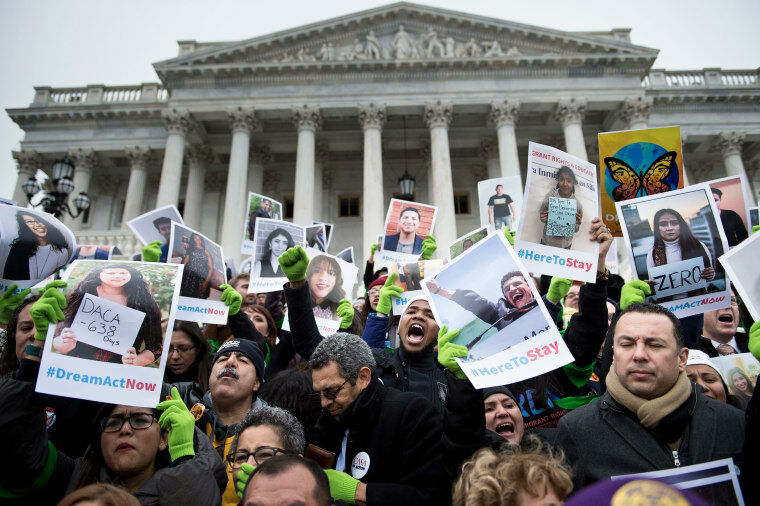 Tonight's ruling comes in middle of an intense fight to write new legislation to protect DACA recipients, known as Dreamers, whose status has been at risk since Trump took office. Earlier today, the president said words that suggested he might be willing to bend on his attack of the status and safety of an estimated 690,000 people living in America, in order to get started on his proposed wall.